Study led by Pierre Zalloua reveals information about the isolation and migratory patterns of populations from Southwest Asia during and after the last glacial period. 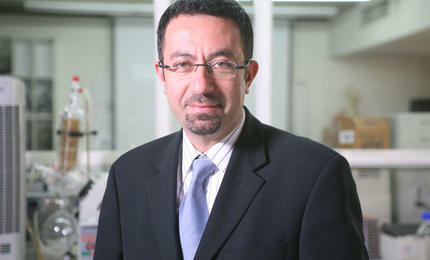 Renowned geneticist, Zalloua is dean of graduate studies and research at LAU. New genetics research led by LAU professor Pierre Zalloua has confirmed the existence of isolated populations around the Black Sea and the Northern Levant during the Ice Age. Referred to as refugia, these populations lived apart from each other with no contact or inter-mixing for more than 25,000 years. “This allowed for distinct genetic signatures specific to each refugium to accumulate,” the researcher explains. Geneticist and Dean of Graduate Studies and Research Zalloua worked together with a team made up of members from New Zealand’s University of Otago, Saint Joseph University in Lebanon, and technology company IBM, to collect and study new genetic data. “Archeology indicates the existence of populations in certain areas, but it doesn’t show that people were isolated,” adds Zalloua. Not only did his team confirm the existence of refugia, but they also traced their migration away from their isolation after the first ice melted some 15,000 years ago by mapping the genetic data against existing archaeological, paleontological, paleobotanical, and climate data. Using Y-chromosome markers combined with autosomal data, they reconstructed population expansions from regional refugia in Southwest Asia. “We now know that we, in the Levant, migrated through the north around 12,000 years ago, and not directly from Africa,” says Zalloua, noting that such findings enrich our understanding of our historical anthropology and of the significant impact climate plays in the way we live. Details of the distinct and datable expansion routes of these populations into Europe and North Africa are revealed in the study, published today in Scientific Reports. The journal article expands upon these findings with a discussion about the possible correlation between these migrations and various cultural and climatic events evident in the archaeological records of the past 15,000 years.